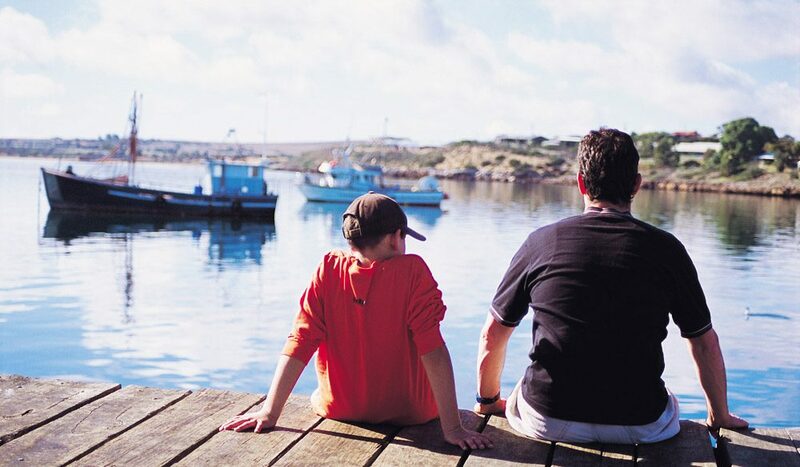 Shot to celluloid fame by the 1970s film Blue Fin from Colin Thiele’s classic 1969 novel of the same name, Streaky Bay is a classic SA coastal fishing outpost. Which explains why Australia’s only permanent colony of sea lions lives in the area (they can be found frolicking in their natural habitat from nearby Point Labatt). Neighbouring fishing town Baird Bay allows visitors to swim alongside the sea lions, as well as dolphins. Out in the middle of a nearby wheat field stands the curious Murphy’s Haystacks (left), which are everything but soft. Rather, they’re ancient wind-worn pink granite boulders that are more than 1500 million years old. Streaky Bay’s big role in Eyre Peninsula’s Seafood & Aquaculture Trail that runs from Whyalla to Ceduna is providing fresh oysters. Evans Oyster Shed offers tours through their oyster farm for a chance not only to sample freshly caught ones, but also to learn about the harvesting and grading process of this seafood delicacy. Over at the Stewarts Roadhouse, a replica of a world-record five-metre-long, 1500kg white pointer that was caught offshore in 1990 hangs in-store. And for something utterly non-ocean related that keeps visitors coming back? It’s the self-proclaimed “Australia’s biggest burger”, a West Coast Whopper from the local Clearwater Cafe. Where? // 695km (9hrs) northwest of Adelaide. Did you know? // Explorer Matthew Flinders was up to his old naming tricks again here. As he sailed by in the early 19th Century, he was struck by the streaky effect of long seaweed strands in the clear waters of the bay.